MASVINGO-Zimbabwe Tourism Authority’s (ZTA) work ethics continue to be felt across the country after one of its own scooped an award at the recently held Megafest Business Awards ceremony held in Masvingo. Daniel Mumpande, ZTA’s Area Manager responsible for Masvingo region, emerged the winner in the Team Leader of the Year category. “We are humbled by to get such recognition from organisations like Megafest. We are very proud as our efforts to push tourism as the leading contributor to the fiscus and promote brand Zimbabwe are not going unnoticed,” said Godfrey Koti, ZTA head of corporate affairs. 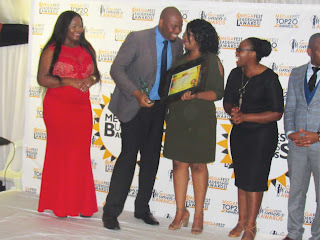 This recognition did not come on a silver platter as he was honoured after exhibiting effective leadership skills as chairperson of the Tourism Cluster on Branding Masvingo Province. The branding committee was formulated through The Office of the President and Cabinet. They successfully branded and produced a brochure, magazine and DVD on the Masvingo Province must-visit areas. Mumpande spearheaded the resurgence of the Chesvingo-Karanga Cultural Village, a Community Based Enterprise which had been dysfunctional over a very long period. Community Based Tourism provides a source of income for communities and is useful for community development as well as sharing cultures with other communities. This award has confirmed and endorsed Mumpande as an emerging young leader. For more than a year he has been chairperson of the Masvingo Tourism Committee for Tourism Operators. Masvingo Operators meet every month to discuss tourism issues affecting the province. He is also an active member of Masvingo Provincial Development Committee, led by Masvingo Provincial Administrator. As a member of the Enshrinement Committee for Kamungoma Shrine in Gutu, where hundreds were massacred during the liberation struggle, Mumpande's leadership skills always come in handy. A monument is being constructed in remembrance of the fallen heroes and civilians who died on the site. It also encompasses Trabablas Trail, a spot where the Crocodile Gang bombed a passenger train during the liberation war. His leadership skills have been tried and tested not only in the Province but beyond. “It is a great honour to receive such an award. It has given me extra motivation to remain resolute and focused on continuous improvement in serving the nation,” said Mumpande. “The award brings recognition to ZTA as an organisation that strives for continuous learning. With that, I would like to thank the ZTA family for their confidence and moulding me into the person I am today,” he added.